Steven Robert "Steve" Guttenberg (born August 24, 1958) is an American actor, comedian, author, businessman, producer, and director. He was born in Brooklyn, New York. He starred in 1984's Police Academy, and went on to perform in lead roles in Hollywood movies of the 1980s, including Cocoon, Three Men and a Baby, Three Men and a Little Lady and Short Circuit. 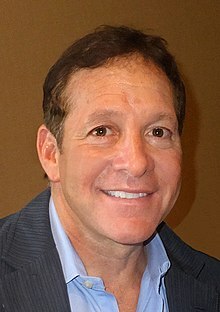 Wikimedia Commons has media related to Steve Guttenberg. This page was last changed on 21 February 2018, at 05:31.